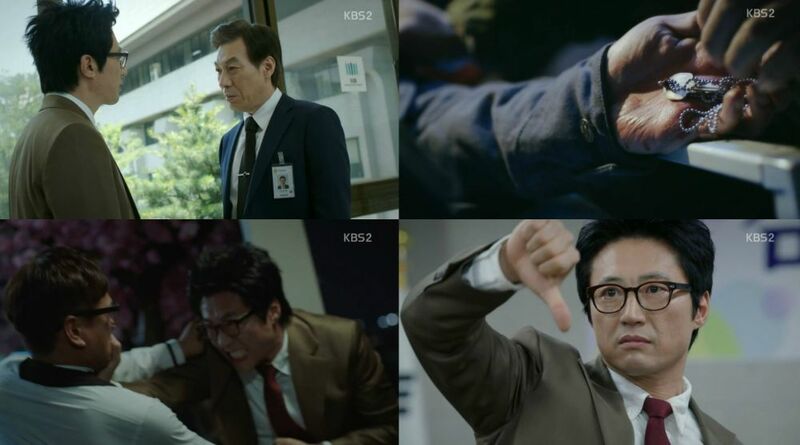 One of the strong suits of "Neighborhood Lawyer Jo Deul-ho" is its handling of emotions and episode nineteen gives Deul-ho and us a rough time, as his life is endangered by evidence. It also reveals crucial information about the past and the true extent of Yeong-il's involvement in important events. Some revelations raise more questions, others neatly tie threads opened in the drama's beginning. Deul-ho repeats certain mistakes and we have miraculous interventions, but they do not majorly harm what is a thrilling episode. Dramas are very prone to plot holes, even when it comes to main points. This can be especially frequent for creators who crack under the pressure of live filming. Seeing the key given to Deul-ho (Park Shin-yang) by Il-goo (Choi Jae-hwan) making a return is a sign that the crew has not abandoned their story. Il-goo's "accident" being murder explains why he tried staying away from Deu-ho. Perhaps it was to protect him, rather than due to anger.